Bring your ukulele and come play with us! We rounded up 83 of the best looking string-playing musicians we could find in the Denver-metro, no easy task let me tell you, and then we gave ’em a chance to play so many ukuleles, and holy moly, we rawked … we even had a PURPLE hippopotamus. — Gavin Doremus took this photo. Thanks! We’ll be performing at Historic Grant Avenue (216 S Grant St in Denver) in the 100 year old sanctuary with its remarkable sweet acoustics. Get your Denver tickets through Brown Paper tickets HERE. Join us at the Lakewood Cultural Center (470 S Allison Pkwy in Lakewood) for yet another amp-ed up extraveganza. Get your Lakewood tickets through the Lakewood Cultural Center HERE. And check out all the other ukulele events going on around the state HERE. Want to play with us this summer? Keep your Monday nights open! It’s a little (lotta) (crazy lotta) work. 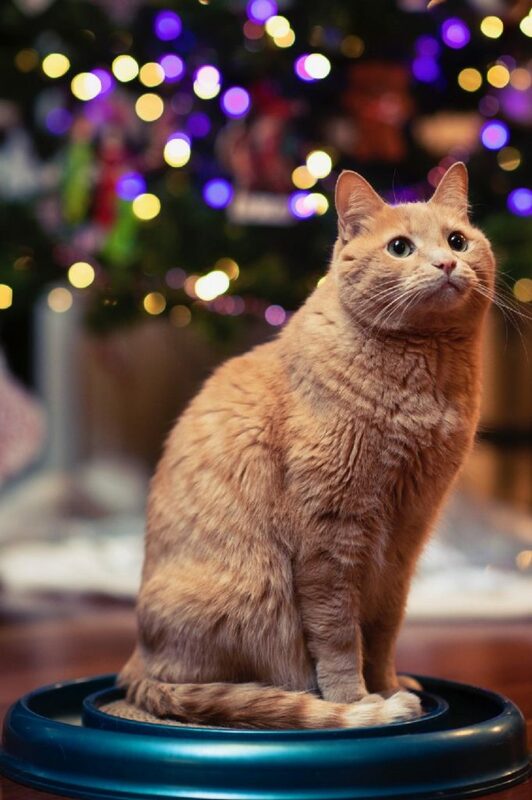 Your cat shouldn’t be your number one fan. You’ll be a part of small and large ensembles. You’ll get better faster by playing music with others. It’s a couple hours on Monday nights and a wee bit o’ practice at home and suddenly you’re picking up a Grammy. We are on a mission to gather up every ukulele-ist wanting to take their playing to the next level. We will teach anybody what you need to know. We think we’re already the largest string orchestra in the Rockies, and we plan on becoming the largest band too … but we gotta catch the tubas first. Please share this idea with your friends who might need a little ukulele music in their lives. We’re pretty nice people and would love to see you and your body guard at one of our rehearsals. IMPORTANT: If you’re new to music or the ukulele, you’ll need a little education prior to joining our daring plan to dominate the known universe. Tackling the orchestra without some background can easily overwhelm even the hardiest of souls, so please check out our Classes page. We will teach you to survive a large orchestra, encourage you to play with smaller groups, and even become a legendary soloist if you wanna put in the work. Contact us today at info@ukuleleorchestra.org. Also, join our Facebook, Instagram, and Twitter feeds to stay current on too many cool things. We meet on most every Monday night for full orchestra rehearsal. You’ll check in with your “Survival Pod” from 6:20-6:50 pm. Then at 7:00 pm, we continue our assault on brilliance with our advanced repertoire. We’re usually done by 8:15 pm or so. Please arrive no earlier than 6 pm and be ready to help set up. We want to be taking advantage of every possible second, so you need to be in your seat, tuned up, and ready to rawk. Plan to stay a few minutes afterward to clean up. We have lots of chairs and tables that require strong backs and compliant minds to stow away each week. Contact: info@ukuleleorchestra.org before showing up! Please note that while we are not affiliated with the church, we are grateful to them for allowing us to use their opulent parking lot and cavernous fellowship hall for our monstrous sized orchestra. It’s hard to find places anywhere in the Denver-metro capable of handling us. Stuff You’ll Need to Own Eventually: You can buy most of this stuff from us when you come to rehearsal. Black three-ring binder with hard backing. 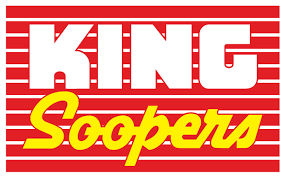 Fee: There is a weekly $5 fee to use the facilities. (Please bring exact change.) There are membership dues of $25 per season (fall and spring) to keep your name on our active RMUO mailing list and your fee also helps provide loaner ukuleles for kids around the state. Skills: Unlike most modern orchestras, we embrace all ability levels, so don’t be shy. Come join us. If you’re new to music, ukulele, or reading tablature, it will be wise to take one of our Introduction to Ukulele classes. If you are an experienced player, plan to be a soloist, a leader, a teacher, and an inspiration to the rest of us. If you need to be the center of attention, we are not your best option … but we look forward to cheering for you on American Idol. Attend regularly scheduled rehearsals. We know you’ll miss some — you have a life, right? — but please be communicative about when you’ll be gone so we don’t send out an Amber alert. If you miss too much, we may ask you to be a stage hand for our concerts. Attend and perform at events listed on the orchestra’s calendar. These are in various locations around the city and announced well in advance. Follow dress codes created for each performance. Members under 16 years old must bring a supportive adult to the first couple of rehearsals. If you’re full of rock ‘n’ roll you can stay, if we’re acting as your babysitter, ya gotta go. Pay required fees for participation. Own a quality ukulele. Be prepared to work to acquire mad skills. Practice at home to ensure mastery of materials. Conduct oneself in a manner to promote the interests of the orchestra. Assist in fundraising, repertoire development, and equipment management. 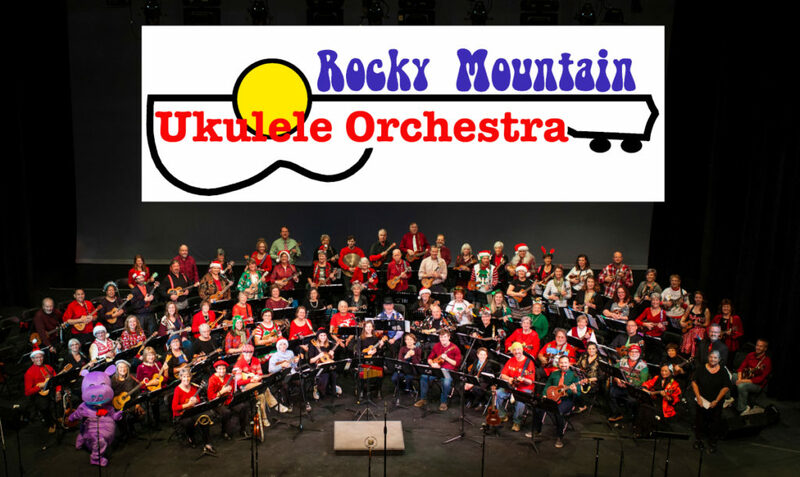 Rocky Mountain Ukulele Orchestra is a 501(c)3 non-profit dedicated to arranging a diverse rehearsed music repertoire for solo and ensemble performance in an educational atmosphere. We promote introductory and advanced music development using the ukulele as our principal instrument. We nurture beginning ukulele players as well as composers, advanced performers, and teachers, and we actively encourage community involvement to promote music education for everyone. The Rocky Mountain Ukulele Orchestra thanks Jim Olson (the dude with the vision to give this a try way back in 2011 when ukulele wasn’t hip), Kelly Graham, Susan Martin, Nathalie Renfroe, Tim Hoffman and the rest of the staff with the City of Lakewood’s Heritage, Culture and the Arts division. They’ve helped us with a place to call home, creating a wonderful environment for teaching and learning music. As we’ve grown, we’ve enjoyed and appreciated the staffs at Washington Heights, Lakewood Cultural Center, Clements Community Center, Historic Grant Avenue, and Green Mountain United Methodist church. A lot of people have tolerated us over the years … thank you!